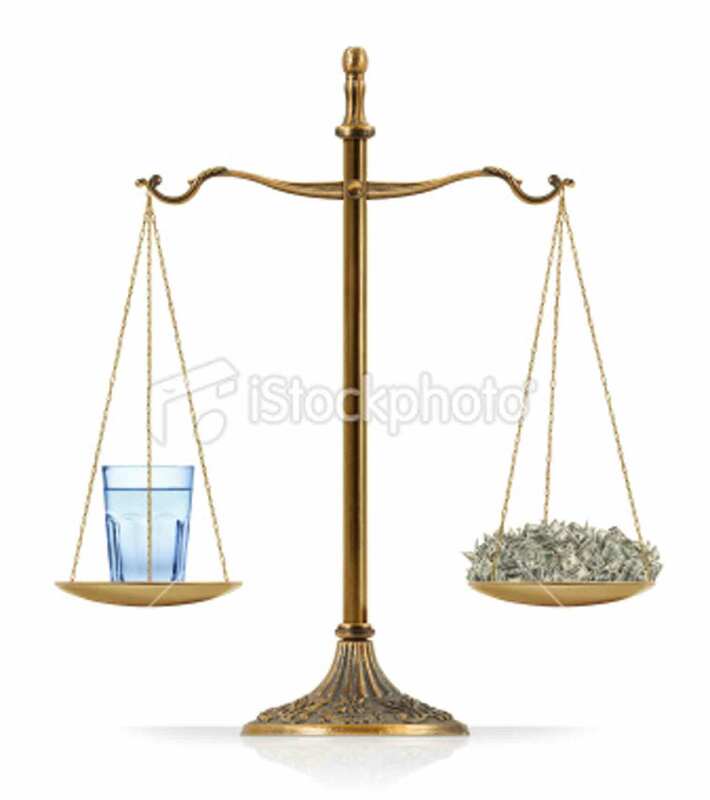 Water issue concept: There is a glass of water at the one side of “Scales of Justice” while there is a lot of money on the other side. A glass of water and money are equal weighted. Isolated on white background.